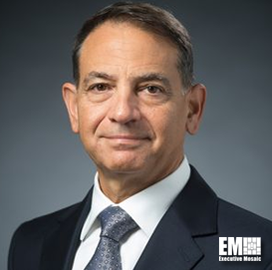 Herman Shelanski, former inspector general of the U.S. Navy, has been named vice president of business development at Huntington Ingalls Industries‘ (NYSE:HII) Newport News Shipbuilding division. The retired vice admiral will report to Newport Shipbuilding President Jennifer Boykin, the company said Thursday. “During his tenure, he became known for his visionary leadership and strategic planning—all invaluable traits as we continue to align our business strategies with the needs and priorities of the Navy,” Boykin said. His nearly four-decade military career has included roles as senior military adviser to the deputy defense secretary and director of the service’s environmental readiness and assessment divisions. Shelanski also held leadership roles aboard USS La Salle, USS Ronald Reagan, USS Harry S. Truman, as well as led Carrier Strike Group 10 and Carrier Airborne Early Warning Squadron.